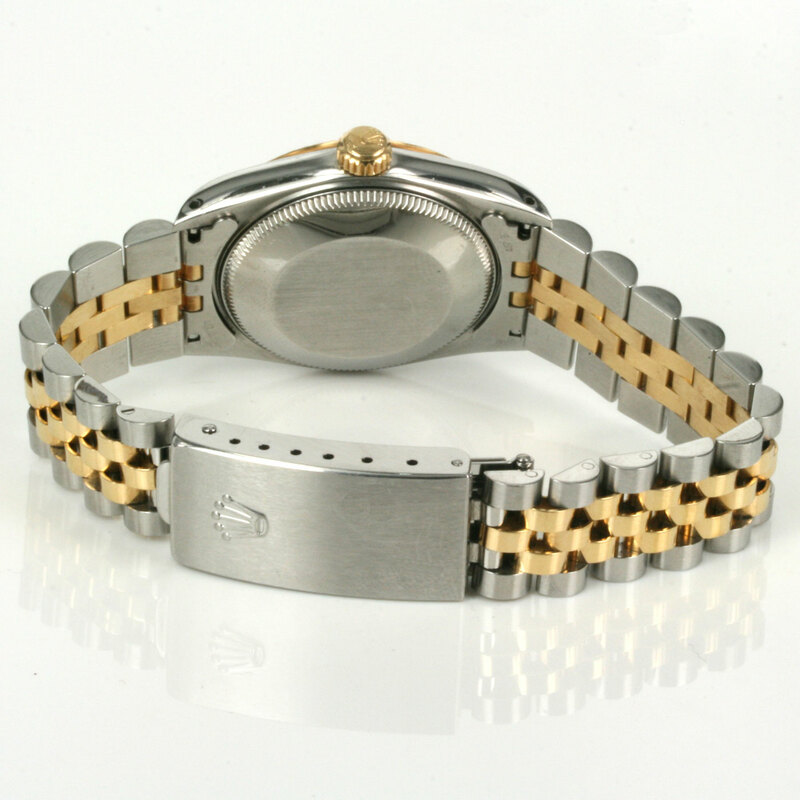 Product code: Q827cc Categories: Sold Items, Sold Rolex Watches. The midsize Rolex watch is becoming has become so popular in recent years as it is larger than the smaller ladies size, yet not so large that it becomes uncomfortable for many to wear and here is a great looking midsize Rolex watch in 18ct gold and steel. Fitted with a very easy to read white dial, this Rolex has the added elegance of the black Roman numerals and 18ct yellow gold fluted bezel. Fitted on the Rolex Jubilee band, this is a style of Rolex watch that can so easily be worn all the time day or night and always look and feel so good on the wrist. Made without the date function, gives this Rolex such a nice clean look which is protected by the scratch resistant sapphire crystal. The case measures 29mm across plus the Rolex screw down crown. Inside is a fully jewelled automatic Rolex movement that keeps perfect time and comes with our 12 month warranty. Perfect for any occasion, this midsize Rolex will always be loved.